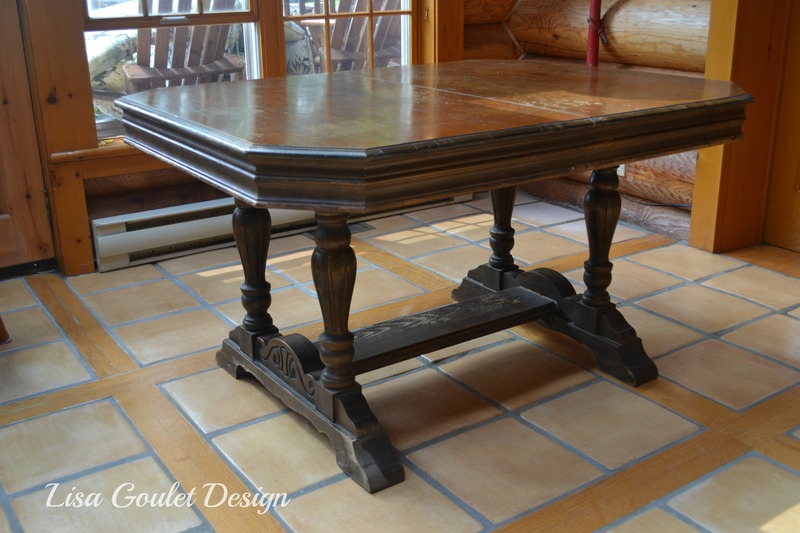 I inherited this table when we purchased our first cottage and found it left in the unheated bunkie on the property. I loved the base and we brought it with us to our current cottage. However, as you can see the finish is in bad shape and it has been on my list to redo since then. Here it is in the sunroom, with the original finish. 3. it would be usually covered by chair legs. As far as steps go, I sanded the base lightly to help the paint adhere, remove any loose bits and because it is such a dark finish. 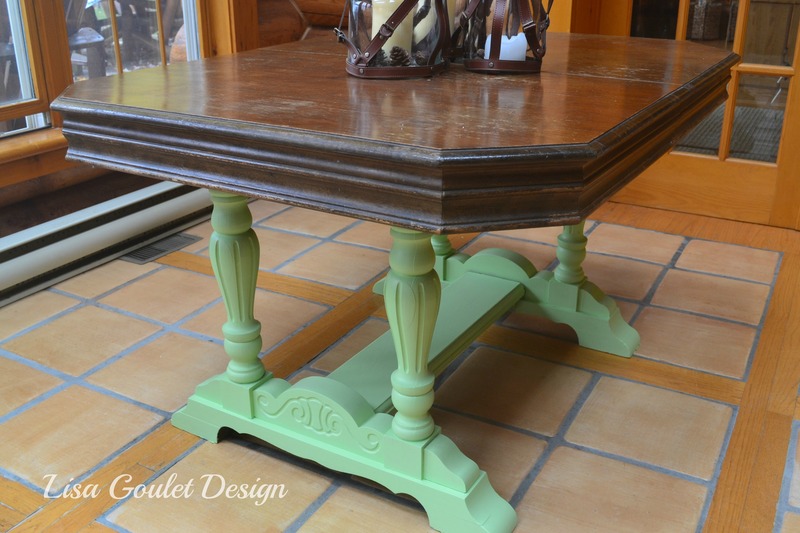 Then I painted three coats of chalk paint (using the home made recipe that I shared on my buffet makeover). Step 2 and 3 will consist of waxing it as well as sanding the top down to the natural wood and then I’ll be deciding whether I will stain and varnish the top or just varnish the top. Certainly freshens it up and it looks really great with the blues in the rest of the room. I’ll be sharing the finished table once it’s done, which hopefully will be in the next few weeks. What a pretty green and it looks great on that table! Thanks Heather. I think I will be using some dark wax on it to give it some patina. Wish me luck!